How quickly things can change in a few weekends of league hurling. Three weeks ago Tipperary were being talked of as a team in crisis, a crushing opening-night defeat to Cork provoking too many memories of their capitulation to Kilkenny in the championship six months earlier. The following day Galway rifled three goals past Kilkenny to consolidate their status as heirs apparent, taking out the All-Ireland champions with a performance considered far from their best. This morning the landscape has a much different look to it again. 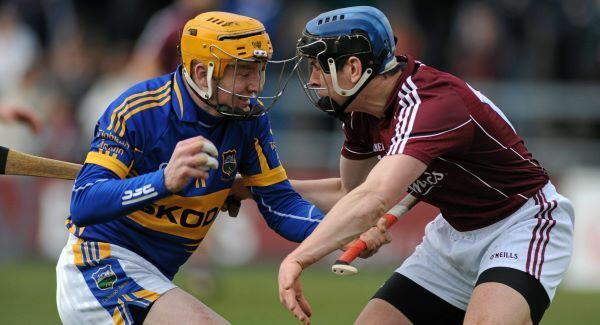 That Cork performance is in the rear view mirror for Tipperary, and the old doubts about the central spine of Galway’s defence have resurfaced again. Had they ever really gone away? The home side were loose for far too long in Pearse Stadium, showing little of the work rate and application that was their calling card last summer. But there was something of a phoney feel to it, 47 scores illustrating the benign nature of some of the exchanges. This is a fixture that routinely troubles Galway, who have to go back to a dark day for Tipperary in Thurles in 2007 for their last taste of success. Add in the 2008 league final and the 2010 All-Ireland quarter-final, and that amounts to a sequence of eight competitive matches for Galway without a win over Tipp at senior level. Tipp were dominant throughout yesterday, their pace and touch far too slick in almost every area of the field. Some of their fringe players, not yet inked on a championship team list, served notice of their ability here. Once again John O’Dwyer stepped up to the mark, helping himself to six points and a goal that he bundled over the line on 52 minutes after substitute Brian O’Meara used his power to gather James Woodlock’s delivery and offload to Seamus Callanan, whose shot was stopped on the line by Fergal Moore. His aggressive play around the park was in marked difference to some of the laboured efforts of his opponents. Woodlock was a bundle of energy too, with three points from midfield, while Callanan revelled in the responsibility of free-taking in the absence of Eoin Kelly and Pa Bourke. The visitors got an unlikely early lift when Brendan Maher’s sideline from over 50 metres out on the stand side deceived Fergal Flannery for a goal after just three minutes. They piled on the pressure after that and led by 1-5 to 0-1 on nine minutes as Galway struggled to get their bearings. They got to within three points, 1-5 to 0-5, but were rocked again on 17 minutes when Lar Corbett ghosted past Joseph Cooney and teed up Shane Bourke, who showed patience and calm to dispatch a second goal for a 2-7 to 0-5 lead. That had stretched to 2-10 to 0-6 by the time Joe Canning stepped up to a 20-metre free after a foul on Niall Healy and with trademark power and daring rifled home Galway’s only goal on 23 minutes. But at the other end they continued to leak too easily. Niall Donoghue had been called ashore by that stage, while Cooney, so promising against Kilkenny in the problematic centre-back position, was gone by half-time, with Cunnnigham suggesting he had mild concussion. Others who were so influential last season were nervously looking over their shoulder too. Trailing 2-13 to 1-9 at the break, Galway did manage to cut the deficit back to three at one stage, with Canning leading the charge, but just as an approximate 5,000 crowd braced themselves for a grandstand finish, O’Dwyer got the touch on the Galway line and a three-point cushion was doubled, 3-17 to 1-17. Any lingering sting in Galway was gone. The fourth Tipperary goal, courtesy of Corbett, had shades of his third against Kilkenny in the 2010 All-Ireland final. Running on to a break off substitute Jason Forde at pace from Michael Cahill’s clearance and with the cover stretched, Corbett flicked past Fergal Flannery on his near side after initially feigning all-out power. Tipperary supporters will be pleased to see the audacious side return to his game with moments like this. If manager Eamon O’Shea was happy, he did his best to conceal it afterwards. What did a return of 4-22 say to him in a match of this standard? “Some of these games, you get a run on the opposition. I wouldn’t worry about the score, didn’t worry about the score three weeks ago in Cork, won’t worry too much about the score this week. I’m neither happy nor sad after any game,” he said. Had there been an over-reaction to the defeat in Cork outside their own camp? “I don’t know what happens outside the camp, no one said that to me,” he said. “What we hope is to get to be a good team, and we’re not a good team yet. “I draw confidence from the pitch I train on. You train to play well – this was a high-quality game but we were playing high-quality hurling in training for the last two or three weeks and that comes out on the pitch. For Cunningham, the Cork game back in Salthill next weekend is already flashing up in lights. “We would be disappointed with some of the defending. Some aspects of our game were not good enough,” he said. Scorers – Tipperary: J O’Dwyer 1-6, S Callanan 0-7 (4fs, 2 65s), S Bourke 1-2, L Corbett 1-1, J Woodlock 0-3, B Maher 1-0 (sl), C O’Mahony, S McGrath, J Forde all 0-1 each. Galway: J Canning 1-10 (1-7fs), D Glennon, A Harte, D Hayes, N Healy all 0-2 each, I Tannian, C Donnellan 0-1 each. Tipperary – D Gleeson 7; P Stapleton 8, P Curran 7, M Cahill 8; P Maher 8, C O’Mahony 6, C O’Brien 7; J Woodlock 8, B Maher 6; S McGrath 6, L Corbett 7, J O’Brien 6; S Bourke 8, S Callanan 7, J O’Dwyer 9. Subs: D Maher 6 for O’Mahony (h-t), N McGrath 6 for B Maher (47), B O’Meara 7 for O’Brien (52), J Forde for Bourke (64), P Bourke for Callanan (68). Galway – F Flannery 6; F Moore 8, K Hynes 6, J Coen 6; D Collins 7, J Cooney 5, N Donoghue 5; I Tannian 6, A Smith 6; D Glennon 7, J Glynn 6, D Hayes 7; J Canning 8, N Healy 7, C Donnellan 5. Subs: A Harte 7 for Donoghue (22), B Flaherty 7 for Cooney (h-t), N Burke 4 for Donnellan (h-t), A Callanan 5 for Burke (51). Ref – B Gavin (Offaly). Two years ago in the league, Tipperary came to Salthill and inflicted a massive beating on the home side, 4-23 to 1-14. Yesterday in sunny Salthill, they came again and did almost exactly the same thing, albeit on this occasion allowing Galway come a little closer. From the beginning, the signs were bad for a large home support, which was boosted by the win of their club champions, St Thomas’ in the All-Ireland final of the previous afternoon. Cyril Donnellan got Galway off the mark early with a point inside 20 seconds, but over the next eight minutes Tipperary rattled off 1-5 without reply, their goal coming after keeper Fergal Flannery was deceived by the looping trajectory of a long Brendan Maher sideline cut. Galway replied with four consecutive points to come within a goal, but were rocked by a second Tipperary goal, when speedy corner-forward Shane Bourke finished, having struck a hat-trick in 2011. Thus, with only 22 minutes gone, they trailed 2-10 to 0-6. Though they were playing into a stiff breeze, it did not look good for Galway, but they managed something of a recovery before the break, a sizzling Joe Canning 20-metre free helping to cut the deficit at the break to a more manageable 2-13 to 1-9. Little by little, the Tribesmen began to chip into the arrears in the second half, with Canning continuing to punish the many Tipperary fouls from placed balls, with flying Davy Glennon and sub Aidan Harte also contributing, so that by the 52nd minute, there was just a goal between the teams, Tipperary ahead 2-17 to 1-17. Then came the decisive moment, a third Tipperary goal, youngster John O’Dwyer getting the final touch in a goal-mouth scramble and, from there, Tipperary were well in control. Their fourth major after Lar Corbett soloed through the heart of the defence came in the 68th minute, but it was already well and truly over. Tipp were good, very sharp and defensively very alert, with all six looking the part, though centre-back Conor O’Mahony went off injured at the break. Brendan Maher again had a fine game in midfield, before his 49th-minute injury, while James Woodlock was back to his best, with three fine points. Up front, and not surprisingly given the final scoreline, Seamus Callanan did very well on the frees, but no-one shone brighter than O’Dwyer. Not that manager Eamon O’Shea was about to get carried away. It does leave Tipperary looking a bit better than they did after that loss to Cork, however, but as for Galway? No disguising the fact that early season or not, league or not, following on last week’s loss to Clare, this was another setback for manager Anthony Cunningham and his team. “I don’t know what it is, whether we’re over-training, but we looked very tired there. We scored 1-19 [1-20] but we leaked a lot at the back. We had chances for a couple of goals, but we would be disappointed with some of the defending. Scorers for Tipperary: J O’Dwyer 1-6, S Callanan 0-7 (4fs, 2 65s), S Bourke 1-2, L Corbett 1-1, J Woodlock 0-3, B Maher 1-0 (s/l), C O’Mahony, S McGrath, J Forde 0-1 each. Scorers for Galway: J Canning 1-10 (1-7fs), D Hayes, N Healy, A Harte, D Glennon 0-2 each, I Tannian, C Donnellan, 0-1 each. Subs for Tipperary: D Maher for O’Mahony (35), N McGrath for B Maher (48, inj), J Forde for Bourke (65), P Bourke for Callanan (68). Subs for Galway: A Harte for Donoghue (23), B Flaherty for Cooney (35, inj), N Burke for Donnellan (35), A Callanan for Burke (52).